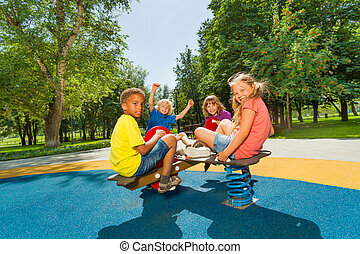 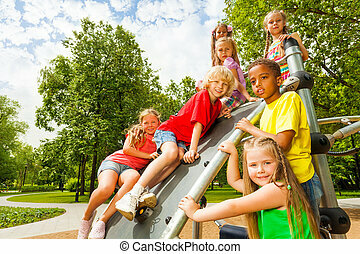 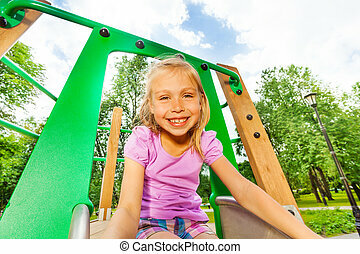 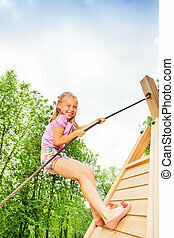 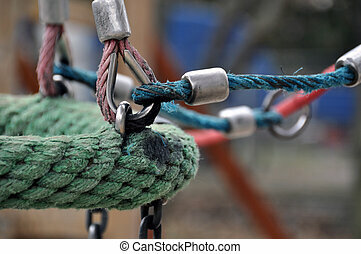 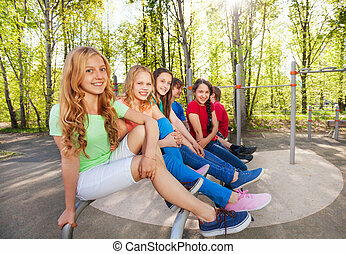 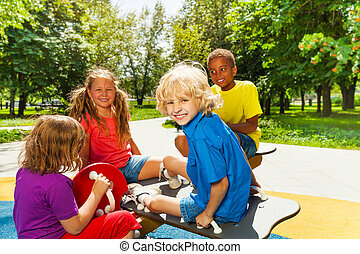 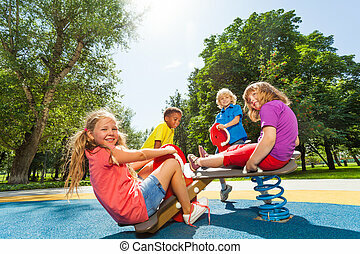 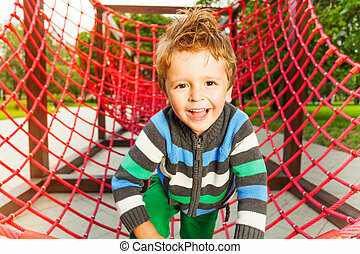 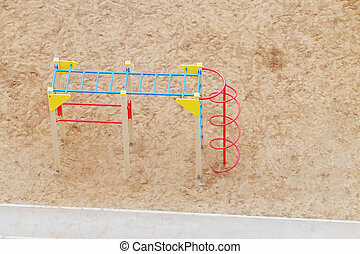 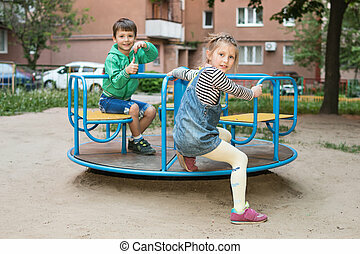 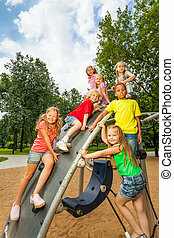 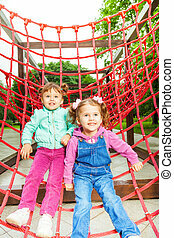 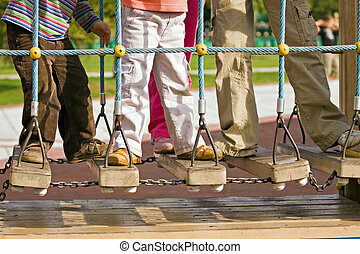 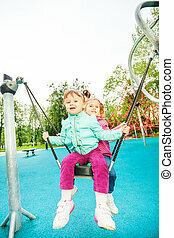 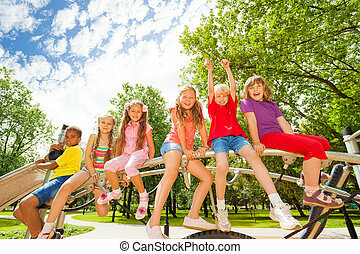 Children on round bar of playground construction. 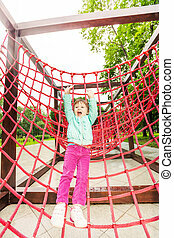 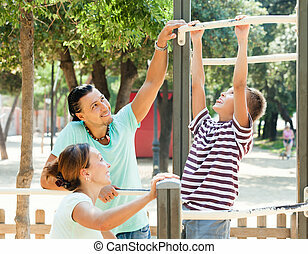 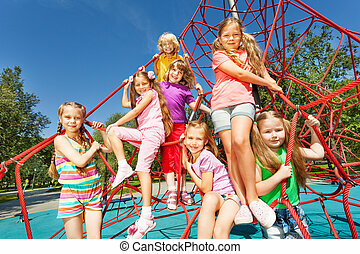 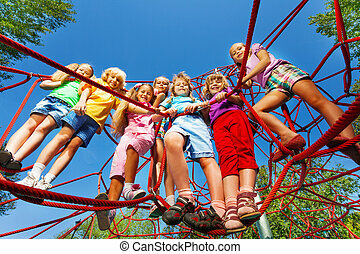 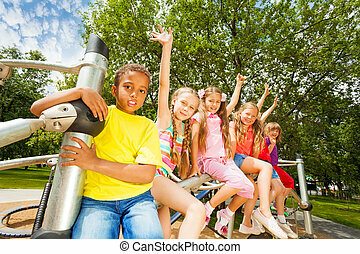 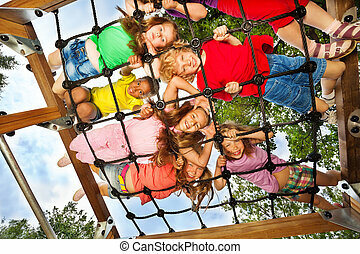 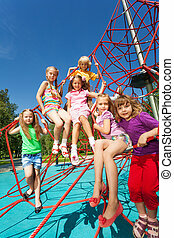 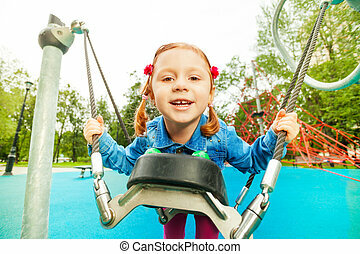 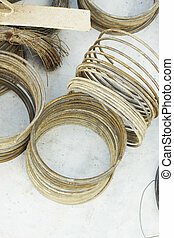 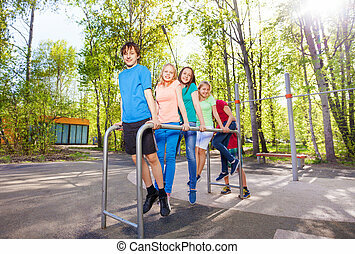 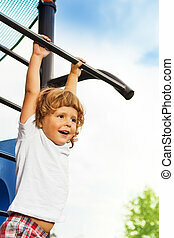 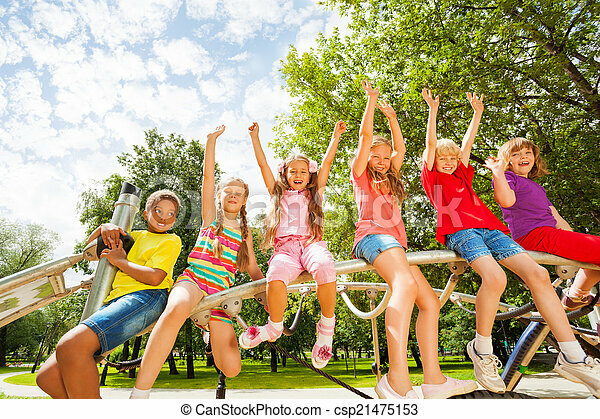 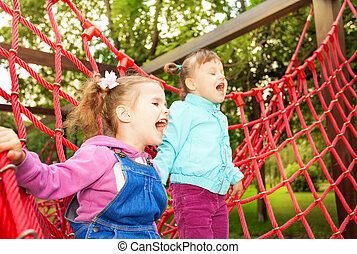 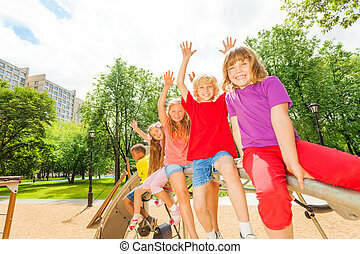 Children, boys and girls, on round bar of playground construction with hands up in the air. 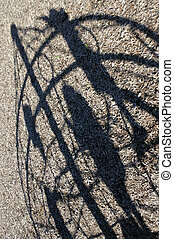 Shadow of children play on a marry-go-round in the playground. 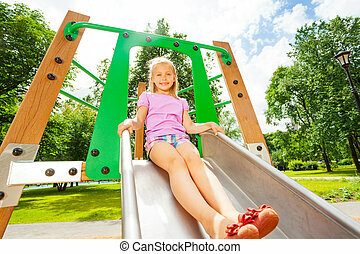 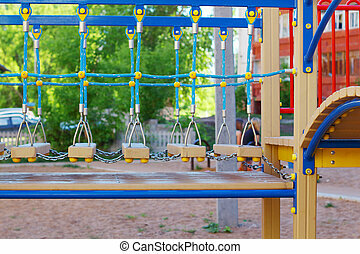 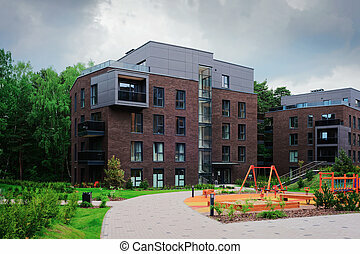 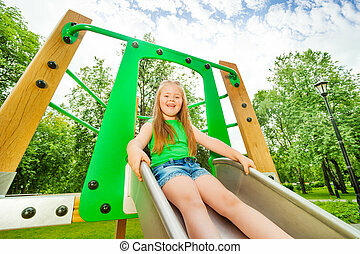 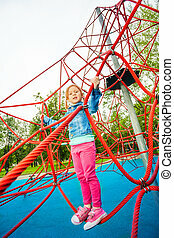 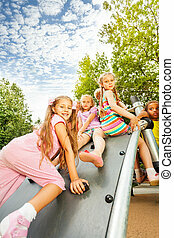 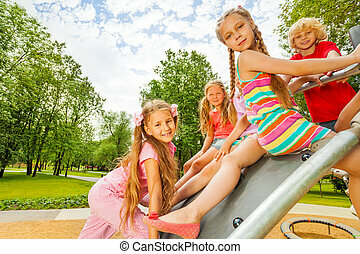 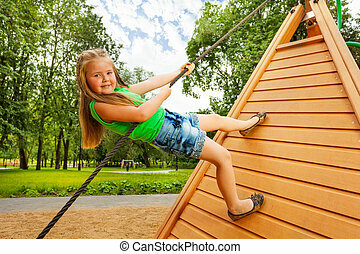 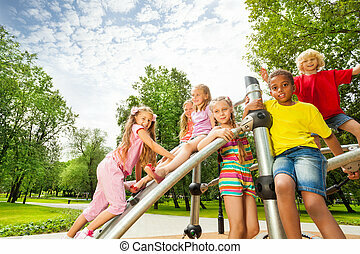 Children playground on European modern complex of apartment residential buildings quarter. 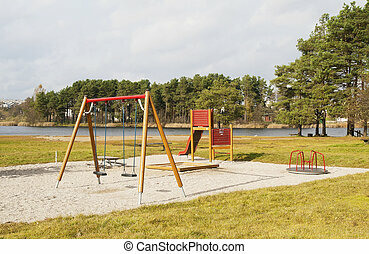 With outdoor facilities. 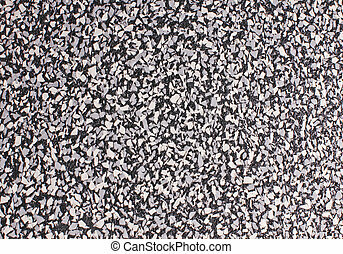 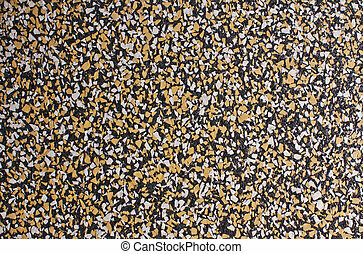 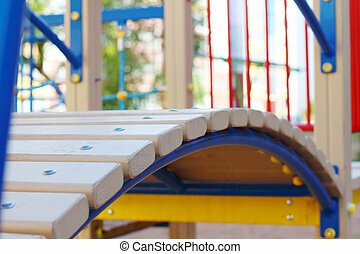 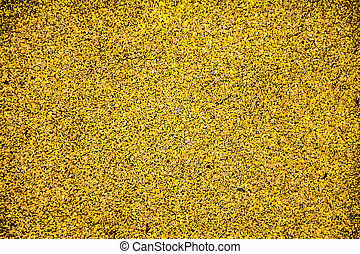 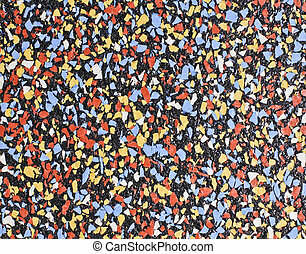 Texture of yellow color rubber floor on playground.